How to navigate the holidays when you are grieving the loss of a loved one. 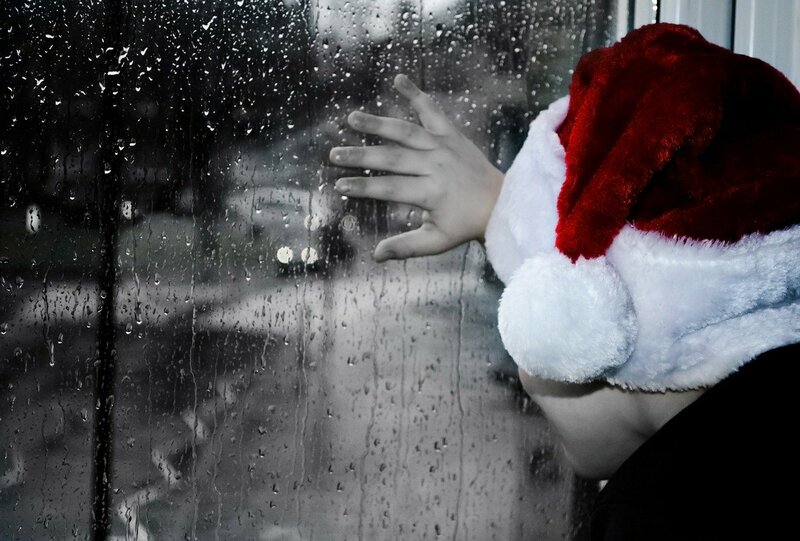 Your holiday can be both happy and sad. My father died on the Monday before Thanksgiving. Two years later, my mother died one week before Thanksgiving, and five days later my husband went too. I remember during his final days driving to pick up a refill of Dad’s morphine prescription. All around me in the drug store were people just going about their business. Teenage girls looking at the makeup selection, a woman buying greeting cards and a father buying his little children ice cream. I recall thinking, Dad used to buy me ice cream, too. And now he never will again. It was hard to understand, how all of these people could just be going about their business. Now, go ahead, ask me, what is my favorite holiday? You might think I would say the 4th of July or Labor Day. No, my favorite holiday is Thanksgiving. And as we move from Thanksgiving and into the Hanukkah, Christmas and New Year celebrations, I continue to celebrate with the people I love. I do this while fully aware of the fact that everything about these holidays has changed for me. At first, continuing to love the holiday season was an act of defiance. “Screw you death, you are not going to ruin my life!” And this little bit of rebellion helped to see me through my first few holiday seasons. Eventually, I recognized that this time would always be bittersweet. And that I was not alone. Many of you have experienced loss during the ‘most wonderful time of the year’, and many of you are missing parents, and children, and partners and friends. One of my favorite stories from Buddhist teachings ends with a grieving woman, who realizes, that the dead are many, and the living are few. And seeing normalcy around you is what will help you get through the season and beyond. Participating in ways you feel will support you is what will help you to reclaim your strength. Give yourself permission to be sad. There is no should. As-in, “It is the holiday season I should be happy.” Or, “I still have much to be grateful for, I should not be sad.” Or, “I should not bring others down.” Just know that you will be sad, and it is OK to be sad. Do not expect the happiness of others to ward off your grief. You will have moments of joy and moments of sadness. Just like any other day, except for some of you, the holiday season will trigger more grief, and for others it will trigger more joy. Play to your strengths. If you enjoy being with big groups of people, then attend events where you are surrounded by a crowd. If you do not like big groups of people then this is not the time to force yourself to be an extrovert. Avoid events with large numbers of people and seek out smaller more intimate gatherings. Give yourself an easy exit. You might find yourself out with others and suddenly feel the need to be alone. When this happens do not make yourself stay. Set yourself up for an easy exit by driving yourself to and from, or taking a car service. Advise people that you do not know how long you will be able to stay. Do NOT let others pressure you into staying beyond your comfort zone. Participate in life and holiday events, but give yourself permission to opt out and to be vague about your level of commitment. If you need to take a pajama day, take a pajama day. If every day feels like a pajama day, seek out help. Do your best to get up and get dressed and groomed every day. Avoid the use of food, alcohol, caffeine or the company of others as a means to mask your grief. This is always true, and during this time of temptations, it is even more important. Pay attention to what your feelings are telling you. If your inner voice is saying, “Deck the Halls,” then go for it. If your inner voice is saying, “Skip it,” then skip it. You do not have to pretend that your loved ones never existed. If it makes you happy to tell a story of how your mother always baked a Christmas Pudding for her brother, then tell that story. And if you tear up, so be it! Be selective about who you spend time with. This is always good advice, and now it is even more important. You are not at your strongest. Minimize time with those who drain your energy, or do not treat you with kindness. Listen to the advice of others, but make your choices based on what will help YOU move toward the life that you wish to live. Everyone has opinions about what is best for you. Some of those opinions come from their own fears and not from what will help you live your best life. You can do this. Is it difficult? Yes! But you are not the one who died, so keep living and keep going.